Google has finally released the Android Q version in the wake of 5G and foldable technologies. Though the latest Android version beta 1 is primarily designed to make app developers ready for the next level of app development, it contains some changes that the Android users will welcome. Here we give an account of such user-facing changes or features from the developer’s perspective. Android has remained at the center of innovation cycle for a decade now. It keeps focussing on offering a rich user experience across millions of devices by integrating technological advancements. It is fair to mention that Android development is aimed at blurring the boundaries of hardware and software while providing new capabilities to app developers and device manufacturers alike. Take an example of the latest Android Q beta version. It is bundled with many additional safety features for users, enhancements for foldable devices, new APIs, speedier app startup, and other interesting stuff. Let’s go through what Android Q beta release brings for the users. Everyone is talking about foldable phones in 2019. Major global smartphone players Samsung and Huawei have already launched foldable phones. Now, Android Q is getting ready to make foldable phones a norm worldwide by offering extensive support to such devices. Android Q version is capable of handling split-screen apps to improve their usability on foldable devices. Soon, the Android Emulator will also get support for folding screens to enable the developers to make split-screen apps. 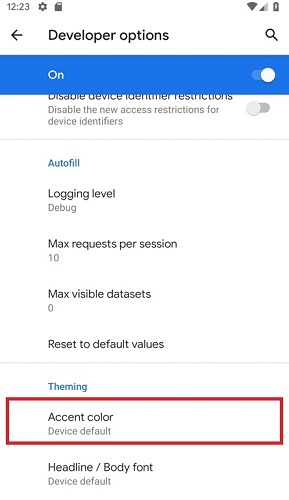 Though Google has not mentioned Theme Engine or related options in the developer’s blog post, Android Police has found a ‘theming’ section in the developer settings of Android Q. In this section, three options-Headline/ Font, Icon shape, and Accent Colors like blue, black, green, and purple are given. The Icon shape option enables the Android app developers to change the app icons to the device default, teardrop, and rounded rectangle. These days, many apps need access to your location even when you are not using them. Android Q has tackled this issue innovatively while giving more control to the Android device users. 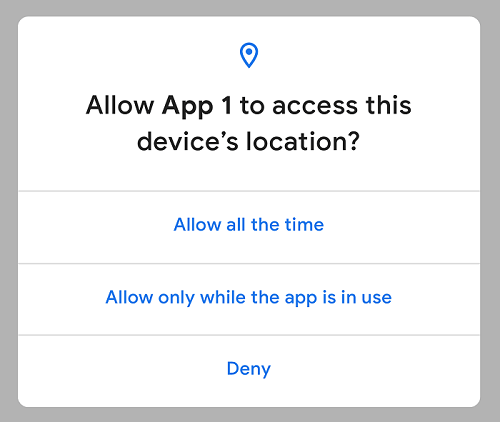 Android Q version will enable you to select the anyone access location option from three different options- “Allow all the time’, “Allow only while the app is in use”, and “Deny”. It is a big step of Android toward protecting your privacy. What’s more, Android Q beta release features privacy improvements like giving an app limited access to sensitive information like IMEI and serial numbers. Unlike previous Android versions, Android Q keeps the notch or rounded screen as it is in the screenshots. What does it mean? Your screenshot appears more realistic when you share it. Android Q beta download in the Pixel device can enable you to check this feature out. The software giant has introduced more swiping options with Android Q beta release. The right swipe will clear the notifications and the left swipe will open up the context menu. It includes options like ‘snooze’ or ‘mute’ notifications. When you expand the menu, you will find additional options like ‘block’, ‘keep alerting’, and ‘’show silently’. So, the Android users who at times find the notifications annoying can have complete control over them. Android Q facilitates you to share Wi-Fi network with a friend through a QR code. You can do so by three simple steps: Select the shareable network. Click the Share icon. Verify your phone’s passcode. Your friend will see a unique QR code and scan it to join your Wi-Fi network. It is more convenient and innovative way of sharing network. This could be your Pixel display! Surprised? Well, this seems possible with the latest Android version (beta). 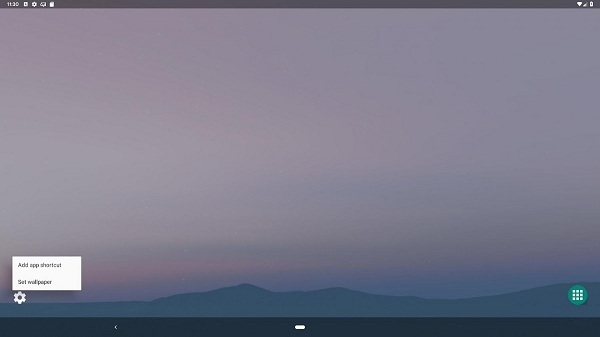 Huawei and Samsung have already brought Desktop mode in their devices, and now Google has followed suit by adding it in the latest Android Q. 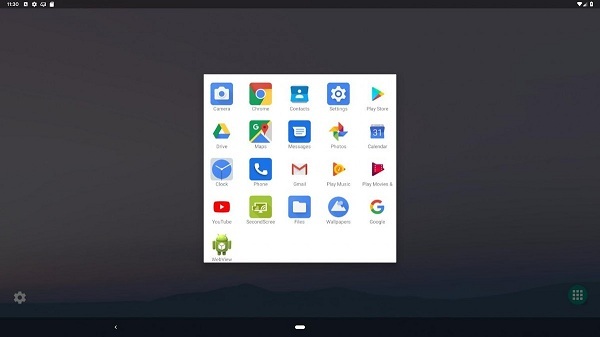 All you get is a desktop-style interface on connecting your Pixel device to an external display. Android Q Beta Download- How to get Android Q for Your Pixel? Android Q Beta is available for Google Pixel devices. The wait for the latest version of Android is over for Google Pixel, Pixel XL, Pixel 2, Pixel 2 XL, Pixel 3, and Pixel 3 XL users. If you register your Pixel device in the Android Beta for Pixel program, you can get this update Over-the-Air (OTC). Manual flashing of your Pixel devices is another option to get Android Q Beta. It requires downloading system images for pixel devices. 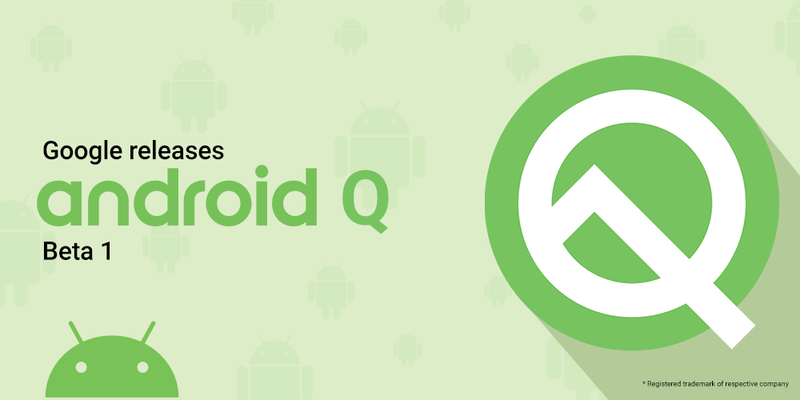 A complete Android Q Beta download process and various options to get Android Q for testing on the supported Pixel devices are given here. Well, this is not all. Currently, we have Android Q beta 1 version. Google plans to release six Android Q beta versions in total before we have a Google I/O event in May. Android Q is here, and Google has thrown a question at us like the previous instances of releasing a new Android version. What could be ‘Q’ in the latest Android version? Let’s wait until the search engine giant comes up with an answer. When it comes to custom Android app development for simplifying business processes and targeting a huge audience, Semaphore is a preferred choice of many enterprises globally. We provide end-to-end app development services to meet your complex business requirements. Simply mail us at info@semaphore-software.com to start the ball rolling.